RUSTIC BUTTERFLY 3-D WALL ART home decor, jewelry, decor, decorations, electronics, fountains, floor mats, art glass, vases, garden essentials, fireplace screens. Let the rich rustic color enhance your home all year long by way of this striking metal wall art. 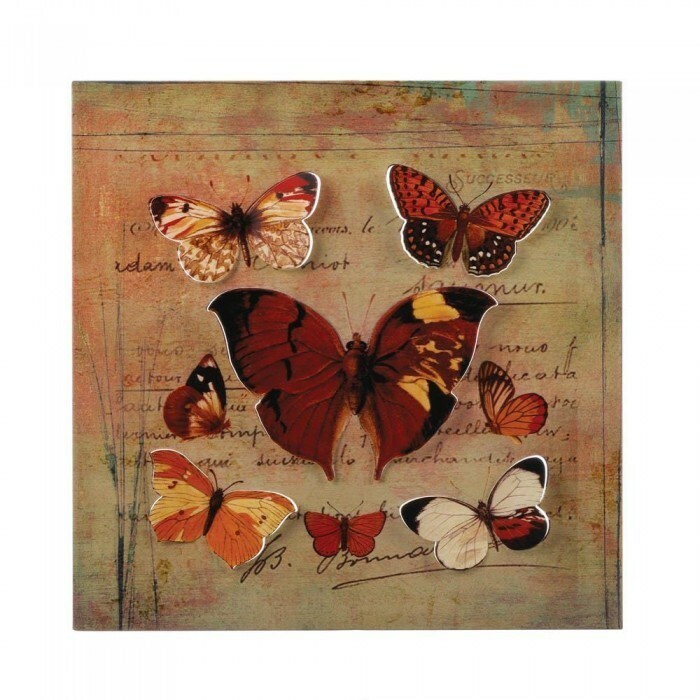 A flurry of beautifully detailed cutout butterflies rest upon a postcard background. Material(s): IRON. Weight 2.0 pounds. Dimensions 15.9" x 0.875" x 15.8".